In Texas, colder months can bring on plenty of severe weather and natural disasters that can lead to water damage. And the water damage doesn’t just come from large amounts of heavy rain, hurricanes, or Texas flooding. Although rare, temperatures in Texas can plummet below freezing, and when it does, it’s good to be prepared. When outdoor temperatures drop, the water inside your pipes can freeze. Water expands when frozen, which increases the pressure on your pipes, causing them to burst. And that leads to home and property damage–not to mention a whole of headaches you don’t need. 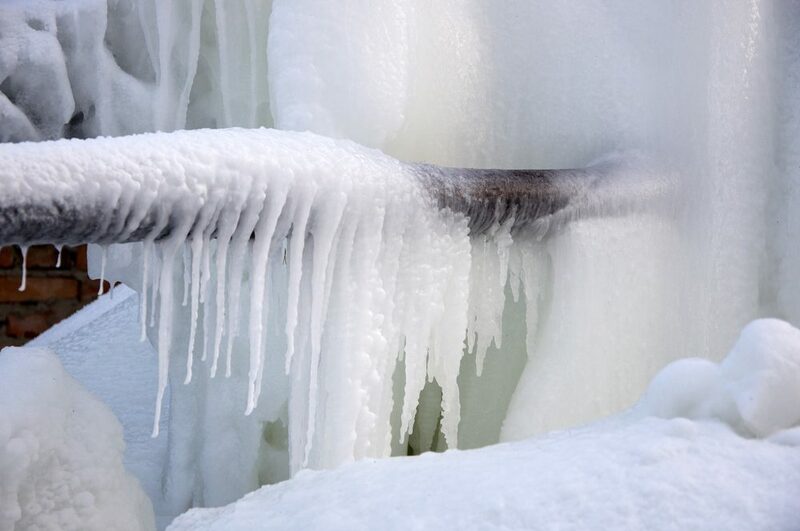 So before the weather gets too cold, follow these tips to prevent frozen pipes from bursting. Recommended thermostat settings. It’s important to set your thermostat to at least 55 degrees F, whether you’re in your home constantly or away for multiple days. This will maintain a steady temperature in your home that will prevent water from freezing. Shut the door. Keep the heat in your house by making sure all doors are shut to the outside–especially if your house is attached to the garage and the garage isn’t insulated. Or, if you have water lines running to your garage, make sure the garage doors are shut at all times to keep the internal temperatures warm. Pipe insulation. Make sure all of your pipes are properly insulated and wrapped up, especially the pipes that are near exterior walls, attics, or crawl spaces, which are areas that are more likely to exposed to the outside freezing temperatures. Winterize outside faucets. Turn off your exterior water valves to outdoor sprinkler systems and faucets. Disconnect and store external hoses. Do a Leak Check. Check to make sure you can’t feel any cold air sneaking in around your pipes. If you find any, seal the area around the pipe to prevent the pipe’s temperature from being affected from outside air. Keep cabinet doors open. Pipes that are hidden under cabinets might be closer to external walls, so heating them may be more of a challenge. Open your cabinets to allow the warm air from your home to flow on those pipes and counteract the cold air from outside. Let faucets drip to prevent freezing. Faucets that are close to external walls may be more prone to freezing, so one days and nights when temperatures are especially cold, turn on your faucets, allowing them to drip to keep the water flowing (albeit slowly), preventing stagnant water from becoming solid in the pipes. Hire a professional. If you have experienced frozen pipes before, it might be helpful to hire a professional to discuss repairing, replacing, or relocating your pipes before lower temperatures hit again. Burst pipes cause water damage? Blackhill Restoration can help mitigate your water damage. Using state-of-the-science equipment for drying, dehumidifying, deodorizing, and disinfecting, we restore a home or business with minimal disruption so that people can get back to their normal lives. We offer emergency water removal service that is unrivaled in its effectiveness. Our treatment always includes respectful handling of property as if it were our own. We respect all the business and home’s belongings and contents –handling equipment, furniture, collectibles, a child’s sentimental artwork – with the utmost care. Types of water damage may include commercial building fire sprinkler water damage, water coming through the ceiling, burst pipe water damage, leak in basement ceiling, basement water damage, leaky faucets, dishwasher overflow, washing machine overflow, or water supply line cracks. We are the water damage restoration company you can rely on to minimize the impact of flood damage. Property damage restoration services of central Texas area include Austin, Temple, Belton, Killeen, Bryan, College Station, Waco, San Antonio, and surrounding Texas communities.